You could be painfully wrong about what’s causing your back pain. 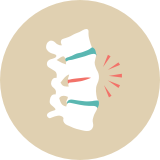 Find out if your symptoms suggest ankylosing spondylitis (AS)—a chronic inflammatory disease that causes pain and stiffness. 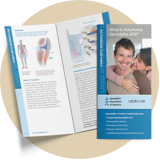 Ankylosing spondylitis is a chronic inflammatory disease that causes pain and stiffness. Join the community of people living with ankylosing spondylitis on the AS1 Facebook Page.